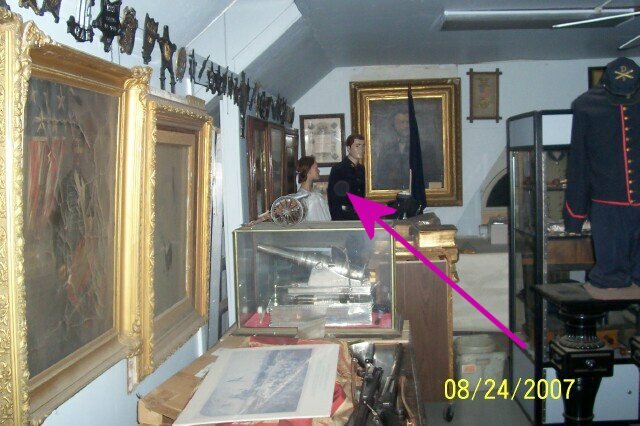 This was SJGR's third investigation of the Grand Army of the Republic Museum and Library, located in the heart of Philadelphia, PA.
A much lower number of Electronic Voice Phenomena (EVPs) were recorded during this investigation than on our previous visit. 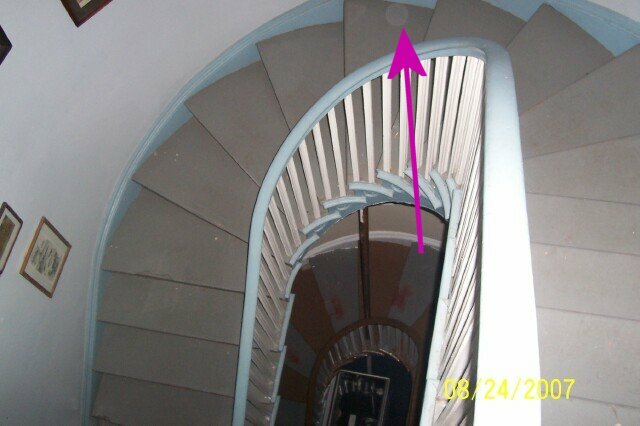 Two anomalous EMF and one motion sensor reading were recorded on this trip. No temperature changes were recorded, and nearly double the amount of photos were deemed positive than from the 2006 investigation. Again, many investigators sensed energy from both residual and spirit activity in the building. For information about our second investigation, please click here. 10:30pm - Investigator Niedt took this photo at random.